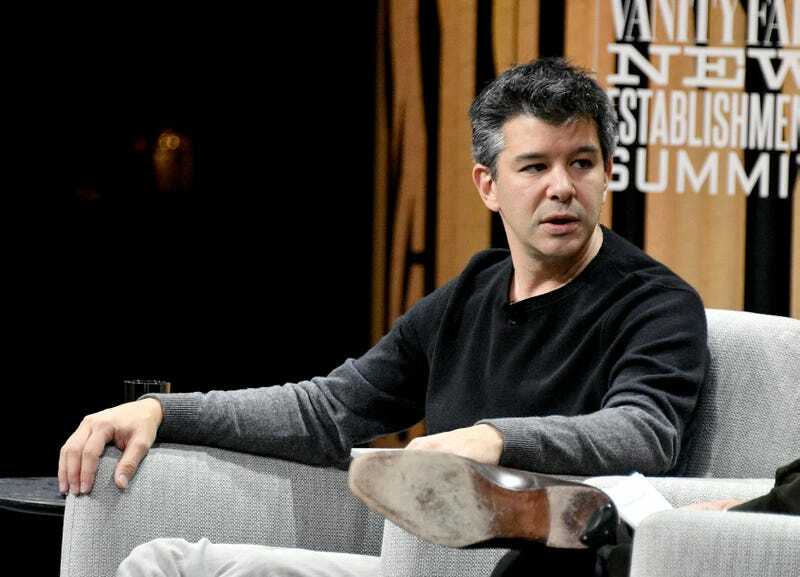 Uber CEO Travis Kalanick has not had the best week. After accusations surfaced that his company was trying to profit off of immigration-ban protests over the weekend at San Francisco International Airport and word got out that he was on President Donald Trump’s Business Advisory Council, a #DeleteUber social media campaign was started against him and his company. Kalanick tried to mitigate his losses by dry-snitching on the other business leaders involved with Trump’s council, and since that didn’t work, either, on Thursday he sent a memo to his employees saying that he was stepping down from the council. Recode reports that in the memo sent to Uber staff, Kalanick focused on the issue the company had with Trump’s immigration ban and the implication that Kalanick’s participation on the advisory council was an endorsement of the policy and the president. The #DeleteUber campaign is still going strong on Twitter as of this writing. According to The Verge, over the last week more than 200,000 users have deleted their Uber accounts, and Kalanick was also getting blowback from employees who said that they were suffering a personal cost similar to social stigma simply from being associated with Uber. Kalanick can try to spin this any way he likes, but it is obvious that the power of social media and social media activism has had a negative impact on his bottom line, and now he is trying to bounce back from that. Read more at Recode and The Verge.